Provide comfort for the family of Nancy Bartlett with a meaningful gesture of sympathy. Nancy Bartlett of Wooster, Ohio, passed away on April 4th, at Ohio Lifecare Hospice in Wooster. Nancy was born on May 30, 1936, and lived to be 82 years old. She was the only child of John and Grace (Armstrong) Winkler of Canal Road. She grew up on Canal Road in a house her father built. She loved the outdoors, enjoyed many trips to the western states, and had many adventures in and around Wayne County, the place she always called home. After graduation from Wooster High School in 1954, she attended and graduated from Muskingum University. She returned to Wooster to become a physical education teacher at Wooster Middle School and taught at the Franklin Township Elementary School. In 1961 she married K. F. Bartlett at the Chapel of the Transfiguration in Moose, Wyoming. She earned a Masters Degree in Physical Education from Michigan State University and then became the Chairman of the Physical Education Department for a public school near Lansing, Michigan. Two years later, she and her husband moved to Strongsville, Ohio. After the birth of their first son, Bryan, they moved to Washington Court House and had a second son, Jeffrey. Nancy taught in the Washington Court House School system and was an active member of the First Presbyterian Church where she became a Deacon. She and her husband moved back to Wooster after raising their sons and lived in the house on Canal Road where she grew up. Nancy enjoyed fifteen winters at the Tip-o-Texas Resort in Pharr, Texas, where she visited with friends and family and spent time in the sewing room. Nancy and her husband eventually moved to Danbury Senior Living of Wooster. She attended the 1st Presbyterian Church and enjoyed Bible study at Grace Church. She loved bird watching, quilting, lunches with her Wooster Township classmates, and taking adventurous walks. Nancy was preceded in death by her parents, John and Grace (Armstrong) Winker. She is survived by her husband of 57 years, Dr. K. F. Bartlett; her son, Colonel Bryan Cy Bartlett, U.S. Air Force, retired, his wife Amy Bartlett and their daughters Grace and Faith Bartlett of Reston, Virginia; granddaughter Cloe Bartlett of Tampa, Florida; son Major Jeffrey Bartlett, U.S. Air Force, retired, and his wife Melissa of Kapolei, Hawaii; granddaughter Sierra Landacre, her husband Steven Landacre, and their daughter Abygale and son Colt, of Dublin, Ohio. Services will be on Saturday, 2:30 p.m. at Custer-Glenn Funeral Home, 2284 Benden Dr., Wooster with Parrish Associate, Charles L. Cureton officiating followed by interment at Wooster Cemetery. Visitation will be one hour prior (1:30 - 2:30 p.m.) to services at the funeral home. Memorial contributions can be made in lieu of flowers to either: Student Conservation Association 4246 North Fairfax Dr., Suite 825, Arlington, Virginia 22203 or LifeCare Hospice, 1900 Akron Rd., Wooster, OH 44691. The family wishes to extend a special thank you to the staff of Danbury Senior Living in Wooster for their special care and concern for Nancy. 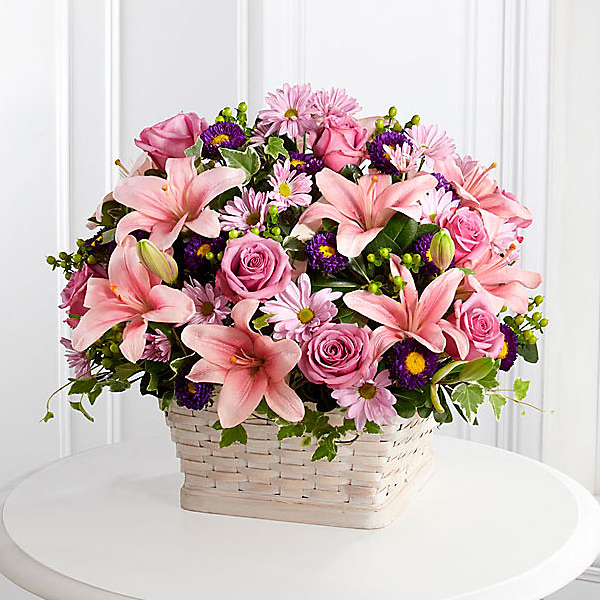 To send flowers in memory of Nancy Bartlett (Winkler), please visit our Heartfelt Sympathies Store. Custer-Glenn Funeral Home and Cremation Services, Inc.
Bryan and Amy and Love, Jeff, Melissa & Sylvia have sent flowers to the family of Nancy Bartlett (Winkler). Bryan and Amy purchased flowers for the family of Nancy Bartlett. We will miss you and hold you in our hearts forever. Love, Jeff, Melissa & Sylvia purchased flowers for the family of Nancy Bartlett. Proudly Serving the Communities of Wooster, Smithville, Apple Creek, Shreve, Orrville, Holmesville, Creston, Rittman, Dalton, New Pittsburg, Seville, Marshallville and surrounding area's.